“Change Is Good” is the motto of Change Design based in Wilmette and co-founded by Mike O’Brien and Jeff Burch. They each bring a passion to the art of design and the attention to detail their clients deserve. 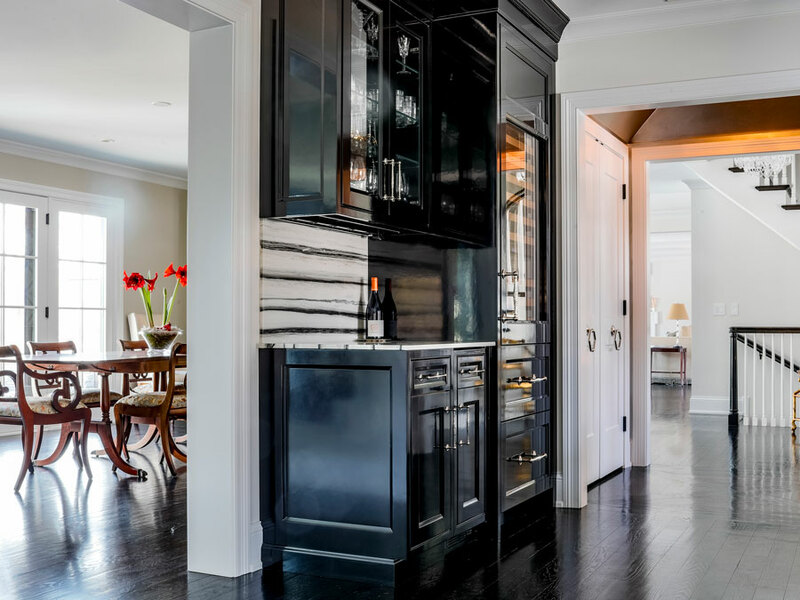 The focus of Change Design is to provide design and space planning, custom cabinetry, millwork and installation for residential kitchens, libraries, offices, mudrooms and theaters. From concept to reality, Change Design will transform your current rooms into beautiful, functional spaces where family memories will be made for years to come. "For us they were truly a “Dream Team.” We simply can’t imagine ever finding better key people to work with on a redesign project than Jeff & Mike." Our role is to, first, listen to and get to know you and your family. Once we hear your needs and learn how your family works, we will develop directed solutions for the spaces in your home, adding beauty, elegance and style to the transformation of your home. Working on our own, or with your architect or interior designer, we design and build our cabinetry to exacting specifications. We bring out the best in the materials, the finishes and the details to fulfill the dreams of our clients. 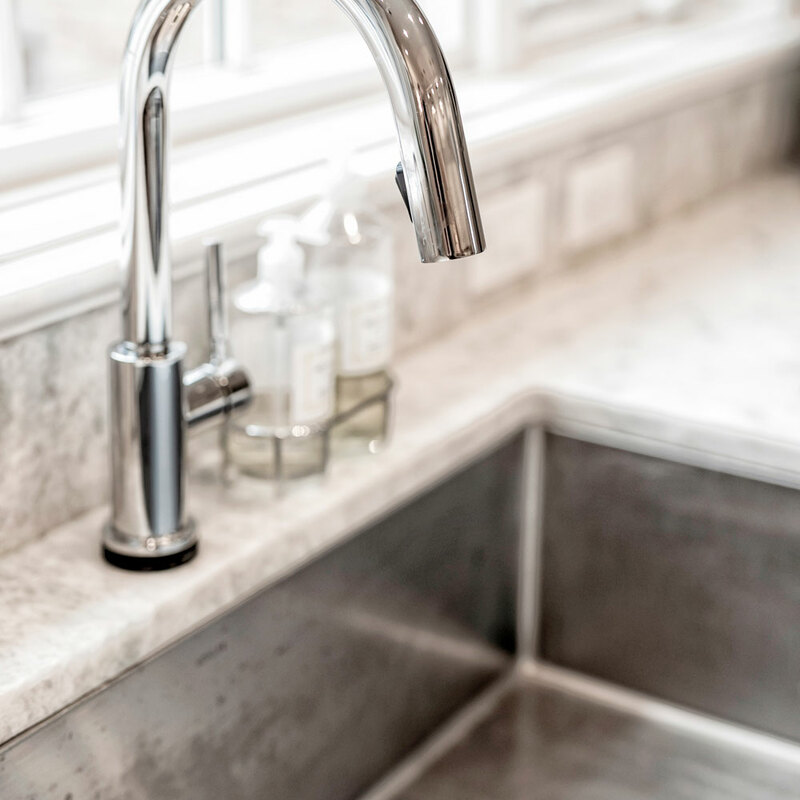 A precise installation is critical to the long-term success of a project. Properly installing the elements, like sliding stone panels and beautifully built furniture ensure a room that looks spectacular and works even better for years to come. Your home is the one place that is truly yours. Are you classic? Are you formal or casual? Do you like to have your friends over for a spontaneous barbecue? Our role is to help create the space that suits your life and your family, to make it fun, to make it yours. Mike O’Brien was classically trained as an architect at both the University of Illinois and the Ecole des Beaux Arts in France. 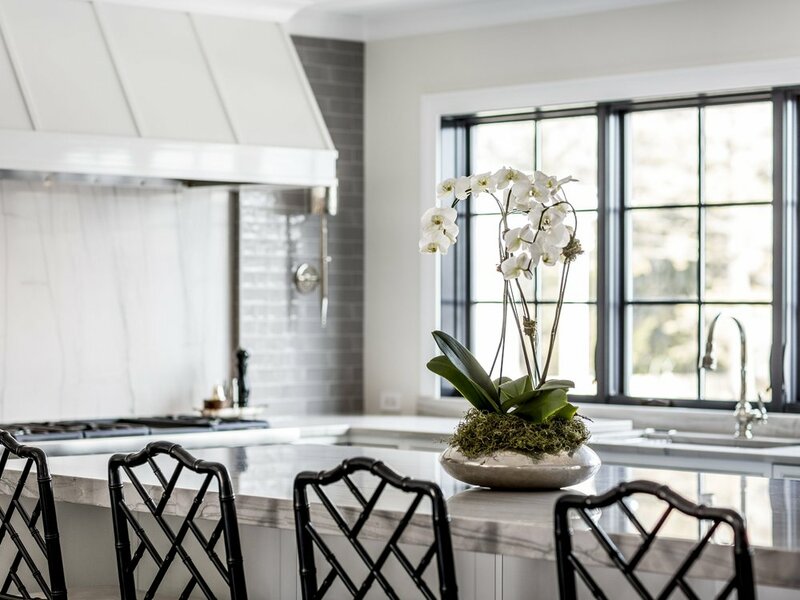 Before partnering with Jeff Burch, he spent 15 years with de Giulio Kitchen Design in Wilmette designing hundreds of projects of all styles. Mike’s extensive experience, phenomenal artistic abilities and relaxed approach to the design process make working with him a pleasure. He is an excellent listener and will seamlessly transform a space into something beautiful that also addresses the specific needs of the homeowner. 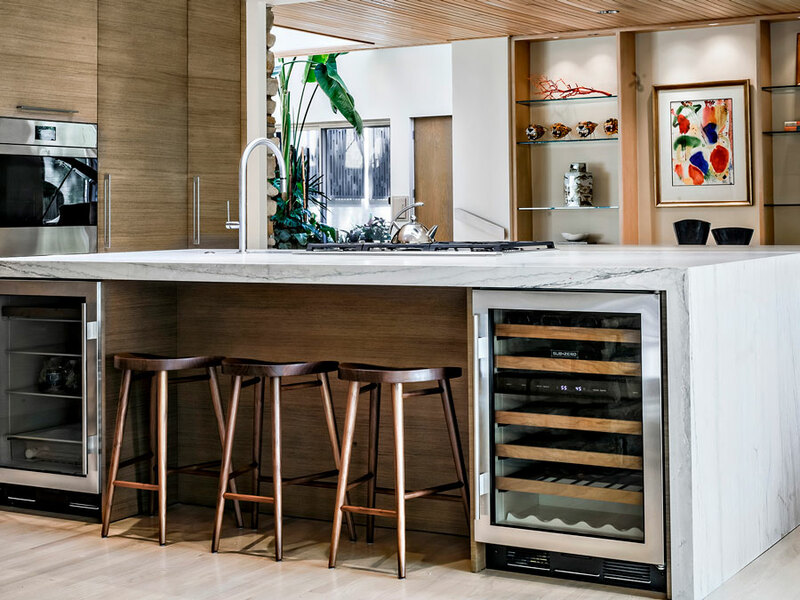 His design work has appeared in several prominent magazines: Bon Appétit, Veranda, Traditional Home, Luxe, Kitchen Trends, Chicago Home & Garden, Phoenix Home & Garden, Beautiful Homes and The Robb Report Collection. Jeff Burch earned a business degree from Bradley University, but soon discovered after college that his true talents were in finish carpentry and project management. Jeff is a talented craftsman, extremely detail-oriented, and strives to exceed the expectations of every client. 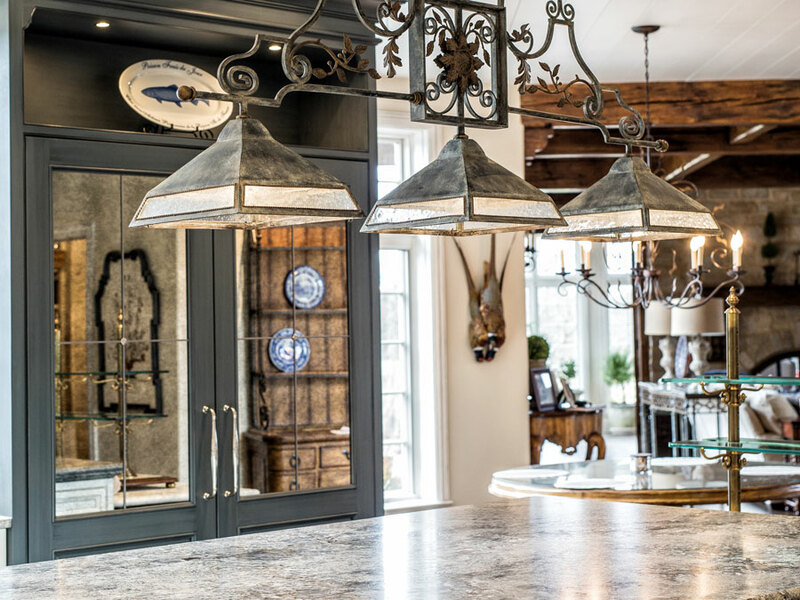 He has been involved in hundreds of projects over the course of his career and spent 6 years at de Giulio kitchen design, where he and Mike met. Rohan Ward arrives in Wilmette via London, Canberra and Sydney. Rohan received formal training from Australian National University’s Canberra School of Art where he studied Woodworking & Furniture Design. Rohan spent four years managing a Chicago-based custom furniture business creating high-end furniture, built-ins, cabinetry and home theaters for top interior designers around the Midwest. As a designer, Rohan understands the balance of achieving a client’s vision while maintaining the integrity of his design style and philosophy: his process is a true collaboration with clients from start to finish. Rohan was recently commissioned to build a table for the President of France as a gift from President Obama. The table was presented in a White House ceremony this spring. LET US HELP CREATE THE SPACE THAT IS TRULY YOU. or simply leave your information below and we will contact you.